Cumberland Island, currently designated as a Nation Seashore, is only accessible via a 45-minute ferry ride. 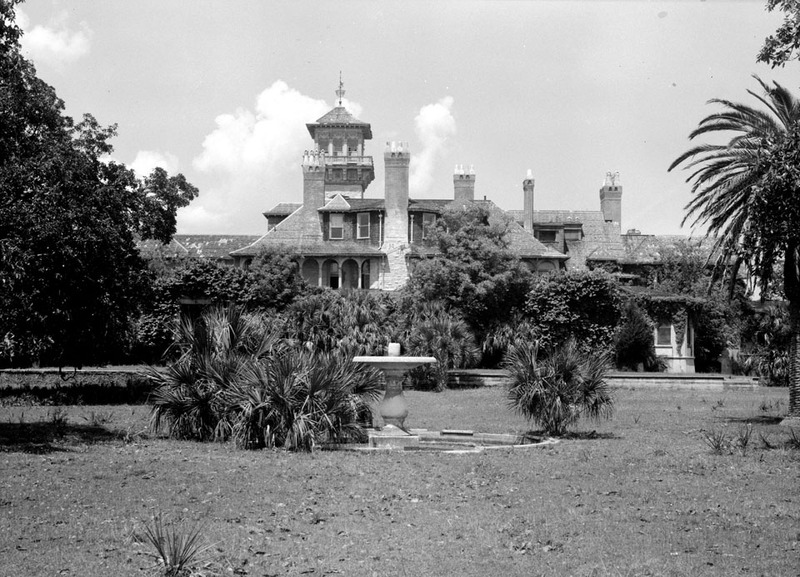 The Dungeness mansion, which was constructed in 1884 by Andrew Carnegie’s brother, was vacated after the Great Depression. This historic photo was taken in 1958, after it had been abandoned for over 30 years. It burned in a fire in 1959, which was believed to have been started by a poacher who had been shot in the leg by a caretaker a few weeks before. 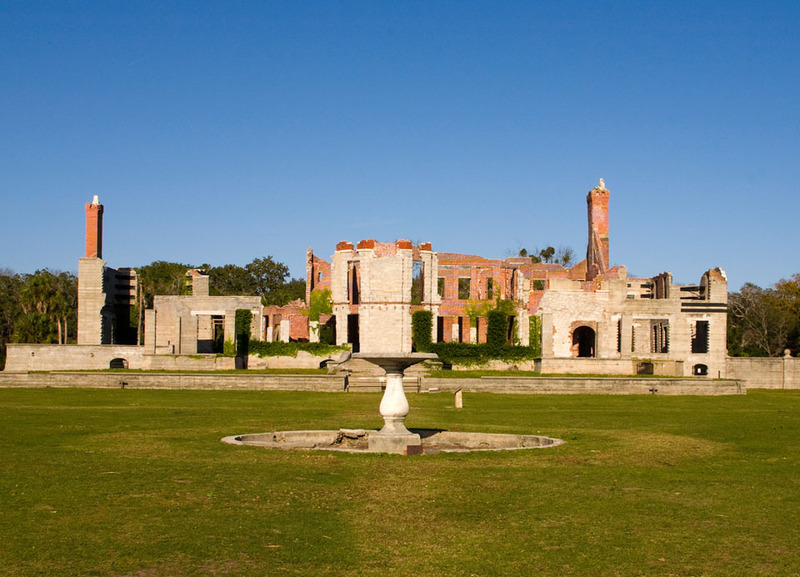 Today, along with exploring the ruins of the mansion, visitors can stroll on pristine, nearly empty beaches, walk through live oak forests, and perhaps even see some of the island’s feral horse population.